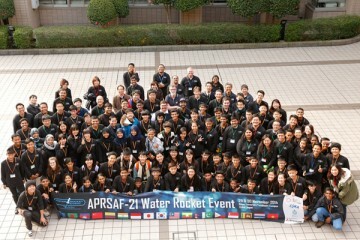 APRSAF(Asia-Pacific Regional Space Agency Forum) was held at National Museum of Emerging Science and Innovation (Miraikan) and Tokyo International Exchange Center (Plaza Heisei) in Tokyo from December 2 to 5, 2014. 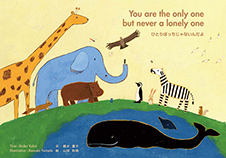 At this conference, the picture books “You are the only one, but never a lonely one” were donated to the participants. The picture books were also donated at Water Rocket Event for students, one of the APRSAF activities, on November 29 and 30. 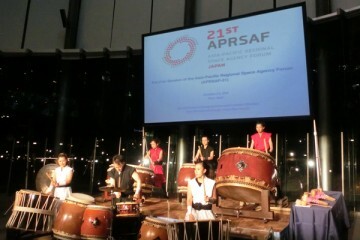 APRSAF, the acronym of Asia-Pacific Regional Space Agency Forum, is the largest space-related conference in the Asia-Pacific region. The host country is to be taken in turns and the conference was held in Japan after an interval of nine years. Space agencies, governmental bodies, and international organizations, such as the United Nations, as well as companies, universities and research institutes take part in APRSAF. With increasing attendance of high ranking officials, furthermore, APRSAF offers opportunities to discuss international cooperation for space activities in concrete terms. Approximately 580 participants from 30 countries and 12 international organizations attended the session this time. 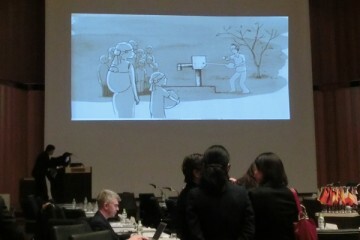 « Our original movies were shown at The ISS Mission report session by Astronaut Koichi Wakata.